The designs are now in progress for the cryobook archive display unit that will be featured in the upcoming show at the ScienceGallery and SymbioticA 10th Anniversary Show in January. 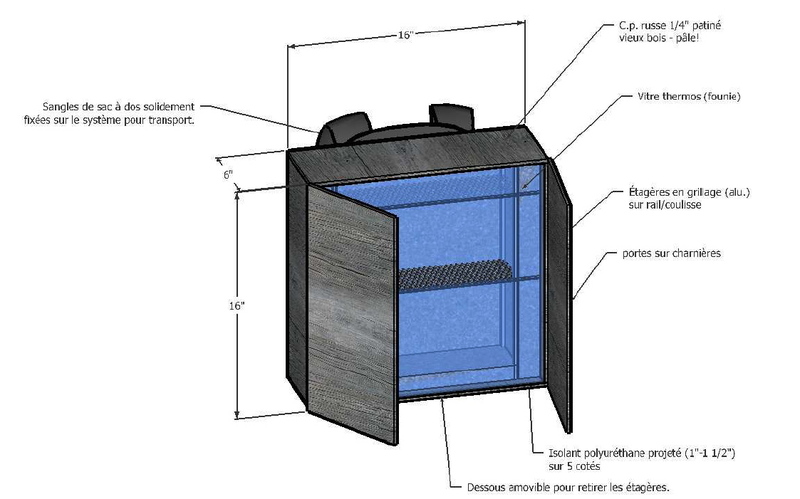 Here is a working design by David St.Onge that factors in the feasibility report created by Benoit and Jean-Michel and the concept of the portable and mobile library/archive. 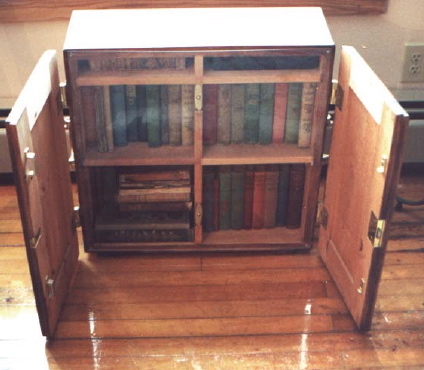 The design follows the form of early portable libraries used in the 1800’s for transporting books to lighthouse outposts in the Great Lakes regions (USA and Canada). For more background on the use of portable libraries see the following link (where these images are borrowed from) here. 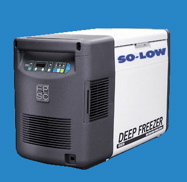 The portable unit (maintained by dry ice ) will parasite off of another portable -80 freezer feeding off of electricity. This is a standard unit used for biomedical samples and specimens that will be integrated as part of the installation. (It weighs approx. 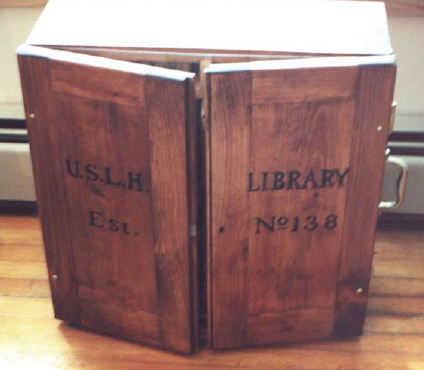 36 pounds, and the outer dimensions are 27.5” x 13.75” x 18.25” . This entry was posted on November 24, 2010 at 3:54 am and is filed under Development, freezer display, project plans and materials. You can follow any responses to this entry through the RSS 2.0 feed. You can leave a response, or trackback from your own site.